The 5th Annual Lake Nona Impact Forum (LNIF) will feature a series of collaborative, action-oriented discussions about the impact of healthy community innovation, sports health and performance; progress and challenges in advancing mental health care; and promising health care technologies and start-ups, among other topics. This event is dedicated to creating impactful health and wellness solutions on a global level. 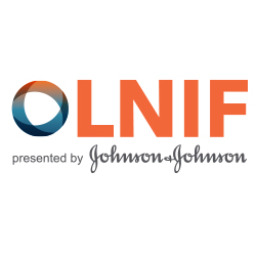 Drawing nationally recognized speakers, LNIF convenes over 250 thought leaders from business, academia, government and industry sectors who are driving creative, innovative health and wellness solutions, which move the needle on health care expenditures nationally and globally. The Impact Forum takes place at various venues within Lake Nona, a 17-square-mile integrated community designed from scratch in Orlando by Tavistock Development Company. 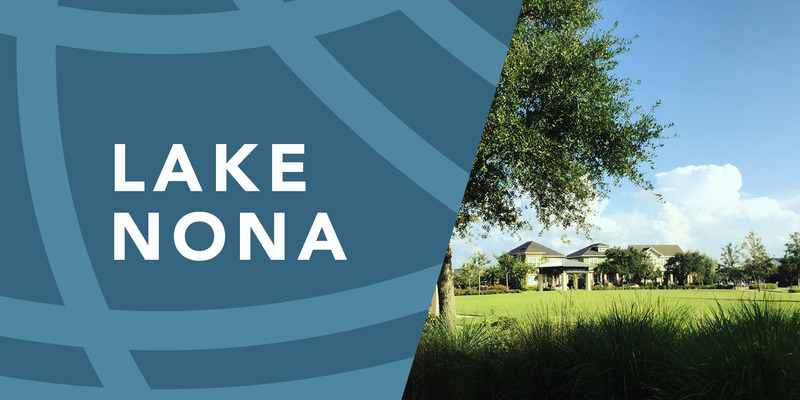 Lake Nona is home to one of the fastest-growing life sciences clusters in the nation and serves as a model for the design of a comprehensive, healthy community. Bio: Amit Sood directs the Mind-Body Medicine Initiative and is Professor of Medicine at Mayo Clinic. Amit is the creator of the Mayo Clinic Resilience Program. He is the author of the books, The Mayo Clinic Guide to Stress-Free Living, The Mayo Clinic Handbook for Happiness, and Immerse: A 52-Week Course in Resilient Living. He was honored as Robert Wood Johnson Health Care Pioneer for February 2015 and in 2016, was selected as the top impact maker in healthcare in Rochester, MN. 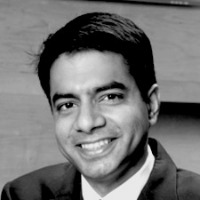 Bio: Amitabh Chandra is the Malcolm Weiner Professor of Public Policy, Director of Health Policy Research at the Harvard Kennedy School of Government. He is a member of the Congressional Budget Office's Panel of Health Advisors, and is a Research Associate at the National Bureau of Economic Research. Chandra is an elected member of the National Academy of Medicine and recipient of the Eugene Garfield Award for the impact of medical research. His research focuses on productivity and innovation in healthcare with an emphasis on oncology and hospital care, medical malpractice, and racial disparities in healthcare. Bio: Andy is currently the Vice President of Sports Ventures for Tavistock Development Corporation. He played a crucial role in landing the USTA’s “Home of American Tennis” and Orlando City Soccer Club’s Training Center. Andy is also the President of Lake Nona Golf & Country Club and Lake Nona Realty. Prior to joining Tavistock, Andy worked for the PGA of America as a Tournament Director for the Ryder Cup Matches and the PGA Championship. Andy is currently the President of the Florida Citrus Sports Board. Bio: Antonia Novello served as the 14th Surgeon General of the U.S. Public Health Service, making her both the first woman and the first Hispanic ever to hold this position. Antonia also served as the 13th New York State Health Commissioner; one of the leading health agencies in the nation. 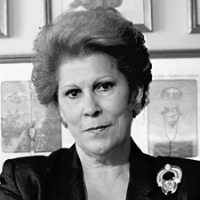 Most recently, Antonia served as the Executive Director of Public Health Policy at Florida Hospital. She currently serves as a liaison between the government of the Dominican Republic and its Attorney General on raising the awareness of domestic violence. 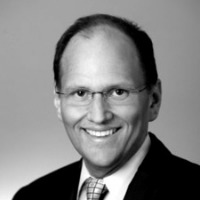 Bio: Bill Fair is the Director of Life Sciences Business Development for Tavistock Development Company. 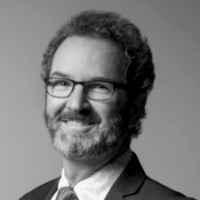 Prior to joining Tavistock, Bill was the Managing General Partner for Ajax Ventures. 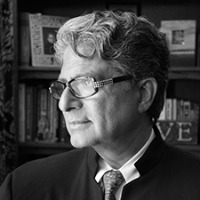 He previously worked with former New York City Mayor Michael Bloomberg as vice president of strategic operations to develop pivotal projects including: the 1 million square foot Alexandria Center for Life Science at the East River Science Park, the Jacobs Technion-Cornell Institute Campus, and the New York Genome Center for genomic sequencing and bioinformatics analysis. 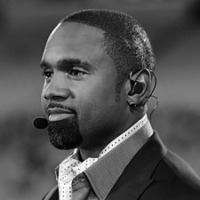 Bio: Charles Woodson, Super Bowl champion and nine-time Pro Bowl defensive back, joined ESPN as a NFL analyst in July 2016. The 18-year veteran appears on Sunday NFL Countdown and Monday Night Countdown. Woodson played cornerback and safety for the Oakland Raiders and Green Bay Packers during his legendary career. He is one of the few players in NFL history to play in a Pro Bowl in three different decades. Charles was the 2009 NFL Defensive Player of the Year and a member of the NFL All-Decade Team (2000s). 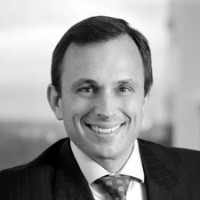 Bio: Chris Jordan, Director of Exercise Physiology at the Johnson & Johnson Human Performance Institute, designed and implemented the movement/exercise components of the Corporate Athlete® course, including the widely known Johnson & Johnson Official 7 Minute Workout®, and is responsible for the development and execution of all corporate fitness programming. As an experienced international keynote speaker, author and performance coach, he trains hundreds of corporate executives of Fortune 500 companies each year. Bio: Cynthia Ambres, M.D. is physician and advisory partner in the Healthcare Strategy Group for KPMG, as well as a member of the KPMG Global Healthcare Center of Excellence. She primarily focuses on business model transformation, including organizational and payment reform strategy, clinically integrated entity redesign and care continuum redesign strategies. As EVP and CMO for Blue Cross and Blue Shield of Western New York and Blue Shield of Northeastern New York, Cynthia oversaw utilization management, the pharmacy services management division, and led innovation bringing the first synchronous online medical care to the northeast United States. As an independent consultant she advised on a potential $7B merger between two health insurers and participated on multiple transaction due diligence teams. In her clinical career she was Chairman of Emergency and Trauma Services at Beth Israel Medical Center. 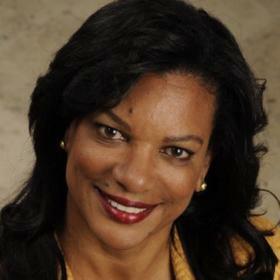 Bio: Dana Nicholson Bledsoe serves as president of Nemours Children’s Hospital in Medical City. She assumed leadership of the 100-bed academic medical center in August 2015 and is focused on building and expanding world-class programs at Nemours to provide the best possible care for the most-complex pediatric cases. Prior to joining Nemours, Bledsoe served as president of the 174-bed Children’s and Women’s Hospital, part of the Sacred Heart Health System in Pensacola, Florida. Bio: Daryl Tol is President and CEO of Florida Hospital and Adventist Health System’s Central Florida Region. This responsibility includes the 8 Florida Hospital campuses in metro-Orlando as well as Florida Hospital Waterman in Lake County. Since receiving his first hospital administrator appointment at Florida Hospital Flagler in 2001, he has had the opportunity to lead multiple hospital locations as CEO. Most recently, Daryl led the East Florida Region of Adventist Health System comprising 5 hospital locations in Volusia and Flagler County. 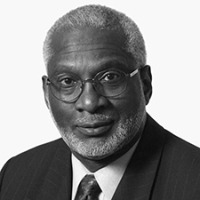 Bio: David Satcher is Founding Director and Senior Advisor of The Satcher Health Leadership Institute at the Morehouse School of Medicine in Atlanta, Georgia. David was sworn in as the 16th Surgeon General of the United States in February 1998 and served until 2002. He also served as the 10th Assistant Secretary for Health in the Department of Health and Human Services making him only the second person in history to have held both positions simultaneously. 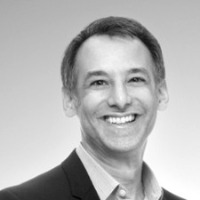 Bio: Howard Krein is Chief Medical Officer at StartUp Health, which is organizing and supporting an army of Health Transformers. Howard acts as a strategic clinical advisor to the world’s largest portfolio of digital health companies and responsible for shaping StartUp Health’s moonshot themes to help improve the health of everyone in the world. He currently serves as Senior Director of Health Policy & Innovation at the Sidney Kimmel Cancer Center and as the Assistant Professor of Otolaryngology: Head & Neck Surgery at Thomas Jefferson University. 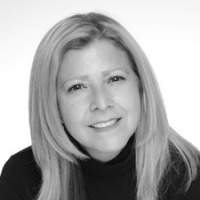 Bio: Ellen Strahlman is the Executive Vice President for Research and Development and Chief Medical Officer for BD (Becton, Dickinson and Company. 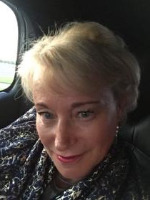 Ellen Co-Chairs the company’s Innovation and New Product Development Council, Chairs the R&D and the Medical Affairs Leadership Teams and leads the Office of Science, Medicine & Technology for BD, comprising more than 3500 associates worldwide. Formerly, Ellen served as the Senior Vice President and Chief Medical Officer GlaxoSmithKline in addition to working in the Office of the CEO as Senior Medical Advisor and Global Head of Neglected Tropical Diseases. 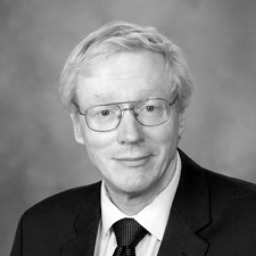 Bio: Dr. James Kirkland is Professor of Medicine and Physiology, Mayo Clinic. His research is on cellular senescence and strategies for targeting fundamental aging mechanisms to treat age-related diseases and disabilities. He discovered drugs that clear senescent cells–senolytic agents. James is a member of the National Advisory Council on Aging of the NIH and President-Elect of the American Federation for Aging Research. He is a specialist in internal medicine, geriatrics, and endocrinology and metabolism. 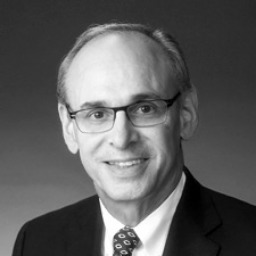 Bio: Dr. Richard Wender is the first chief cancer control officer of the American Cancer Society, Inc., a position he assumed in November, 2013. Dr. Wender began volunteering for the Society in 1985, serving as the president of two Divisions. In 2006, Dr. Wender became the first family physician to serve as national president of the Society. Dr. Wender and his team work to ensure that everyone facing a cancer diagnosis lead their best lives with cancer, with the best opportunity for achieving a cure. 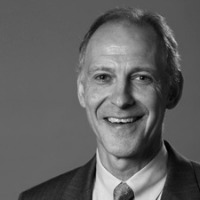 Bio: Joint Appointment, Wharton School and School of Medicine, University of Pennsylvania; Founding Chair, Clinical Center of the NIH; Former Special Advisor on health policy, Office of Management and Budget Ezekiel Emanuel is one of the leading practitioners shaping the future of healthcare. Trained both as an oncologist and a political scientist, Zeke offers a uniquely thoughtful perspective on the most difficult issues in medicine today. From February 2009 to January 2011, Zeke was a special advisor for health policy to the White House Office of Management and Budget. As one of the most prominent voices advising the White House about healthcare, he had a significant impact on federal healthcare budgets and the Affordable Care Act. Bio: Frans Johansson, an author, entrepreneur and acclaimed speaker has inspired readers and audiences around the world with his ideas on leadership and success, innovation, and diversity. Since its publication in 2004, Frans’ debut book, The Medici Effect has become the definitive book on diversity driving innovation, influencing numerous industries and fields such as architecture, design, economic development, education, healthcare and medicine, and investing. 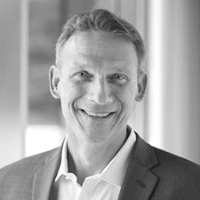 Most recently, Frans has founded a strategy and innovation firm, The Medici Group, where he currently serves as CEO. 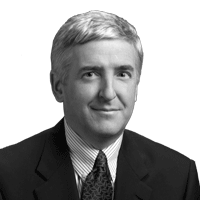 Bio: Gilmore O’Neill is currently SVP, Late Stage Clinical Development at Biogen Inc. He is responsible for all late stage development programs, which include Pain, MS, Dementia and Rare diseases. During his tenure running Biogen’s Neurology Clinical Development team he played an integral part in the development of some of Biogen’s leading compounds. He has also worked on drug development programs in Immunology and Inflammation, Fibrosis, Pain, Rare disease and Gene and Cell Therapy, Spinal cord injury, Alzheimer’s disease, Parkinson’s disease and Remyelination. Bio: Gloria Caulfield leads health and wellness strategy and planning for the Lake Nona Institute. Passionate about identifying partners determined to collaborate and innovate pivotal health care solutions, she is responsible for managing and identifying intersections with stakeholders in the Lake Nona community. Caulfield is a leader in advancing research, technology and new solutions for healthy lifestyles and quality of life. 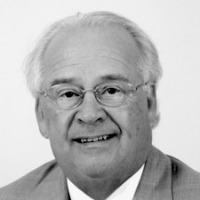 Bio: Doctor James Andrews is a founding member of Andrews Sports Medicine and Orthopaedic Center in Birmingham, Alabama and a founder and Medical Director of the American Sports Medicine Institute, a non-profit institute dedicated to injury prevention, education and research in orthopaedics and sports medicine. Through ASMI he has mentored more than 400 orthopaedic and primary care sports medicine fellows. Doctor Andrews is also a founding partner and Medical Director of the Andrews Institute and AndrewsResearch and Education Institute in Gulf Breeze, Florida. A native of Homer, Louisiana, Doctor Andrews graduated from Louisiana State University in 1963, where he was Southeastern Conference pole vault champion. He completed LSU School of Medicine in 1967 and his orthopaedic residency at Tulane Medical School in 1972. He is a member of the American Board of Orthopaedic Surgery and the American Academy of Orthopaedic Surgeons and served as the 2009-2010 President of the American Orthopaedic Society for Sports Medicine. He is Clinical Professor of Orthopaedic Surgery at the University of Alabama Birmingham Medical School, the University of Virginia School of Medicine, the University of Kentucky Medical Center, and the University of South Carolina Medical School. Doctor Andrews provides coverage to several collegiate and professional teams including Auburn University, the University of Alabama, the Washington Redskins, the Tampa Bay Rays, and the LPGA. He also serves on the Board of Little League Baseball. Doctor Andrews has been inducted into both Alabama and Louisiana’s state Sports Halls of Fame. 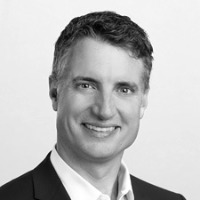 Bio: "James Mault is the Vice President and Chief Medical Officer of Qualcomm Life after its 2013 acquisition of HealthyCircles, a Care Coordination and Remote Patient Monitoring Platform Company founded and led by Dr. Mault since 2009. 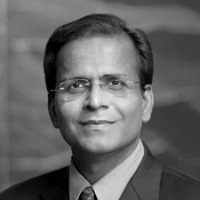 His leadership responsibilities include New Product Innovation including Intelligent Care Analytics, Clinical Program and Regulatory Oversight, and Global Health Policy. Formerly, James was the Director of New Products, Business Development and Clinical Programs for the Health Solutions Group at Microsoft." 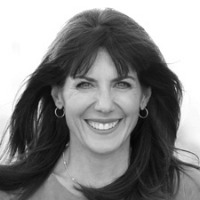 Bio: Jean Chatzky, the financial editor for NBC’s TODAY show, is an award-winning personal finance journalist, AARP’s personal finance ambassador and an educational partner for Fidelity. Jean is a best-selling author; her most recent books are Operation Money and Money Rules: The Simple Path to Lifelong Security. She believes knowing how to manage our money is one of the most important life skills for people at every age and has made it her mission to help simplify money matters, increasing financial literacy both now and for the future. 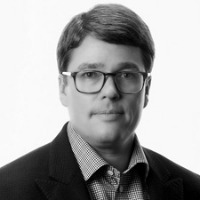 Bio: Jeff Arnold is Chairman and CEO of Sharecare, a health and wellness engagement platform he founded with Dr. Mehmet Oz, in partnership with Harpo Productions, Sony Pictures Television and Discovery Communications. Sharecare’s ultrapersonalized and comprehensive platform helps consumers connect to the knowledge, evidence-based programs and health professionals they need. In 1998, he founded and served as CEO of WebMD, the first healthcare company to harness the power of the Internet to create a destination for consumers, healthcare institutions and physicians to find trustworthy medical information. Bio: Dr. John Reed is global head of the Roche Group’s Pharmaceutical Research & Early Development (pRED) unit, where he directs R&D activities from discovery of a promising target through to Phase 2 proof of concept clinical trials. Prior to joining Roche, John served as CEO of one of the largest non-profit biomedical research institutes in the United States. He is also an Adjunct Professor at ETH Zurich and a Fellow of the American Association for the Advancement of Science. Bio: John Brooks is the Managing Director of Healthcare Capital LLC, which advises early-stage life sciences companies. Healthcare Capital specializes in advancing disruptive and innovative solutions in healthcare, especially in obesity, pre-diabetes, and diabetes. John is the former President and Chief Executive Officer of the Joslin Diabetes Center, a Boston based diabetes research, clinical care, and education organization. He has co-founded seven life sciences companies, including Insulet (PODD), a disruptive insulin delivery company, and Prism Venture Partners, a $1.25B venture capital firm. 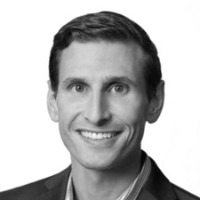 Bio: Joshua Riff is a healthcare innovator with a passion for driving consumer centered solutions. Currently, Josh serves as the CEO of the newly formed precision care management company Onduo. Onduo is a Sanofi and Verily backed company that uses analytics and behavioral science to help people with diabetes live their best life. Prior to Onduo, Josh was the Senior Vice President of Prevention and Well-being at Optum and Chief Medical Director at Target. Bio: Kevin L. Hagan is Chief Executive Officer of the American Diabetes Association, the nation’s largest voluntary health organization leading the fight to Stop Diabetes®. Kevin joined the Association in June of 2015, after serving as President and CEO at Feed the Children. During his tenure at Feed the Children, he re-envisioned the global mission and successfully executed an integrated branding initiative to strengthen Feed the Children’s brand recognition and position it as the “next generation” anti-poverty organization. 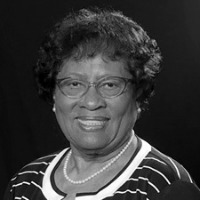 Bio: M. Joycelyn Elders, M.D. is the 15th Surgeon General of the United States. She is Professor Emeritus of Pediatrics, Division of Endocrinology at the University of Arkansas Medical Sciences (UAMS), Arkansas Children's Hospital in Little Rock, Arkansas. She is a Distinguished Professor of The School of Public Health at UAMS. There is a chair in her name in “Sexuality Education in Medical Schools” at the University of Minnesota. As an author and coauthor of hundreds of professional publications in the areas of pediatrics, endocrinology and public health and as a national and international speaker, Dr. Elders is a strong advocate for children’s health, quality patient care and health safety. 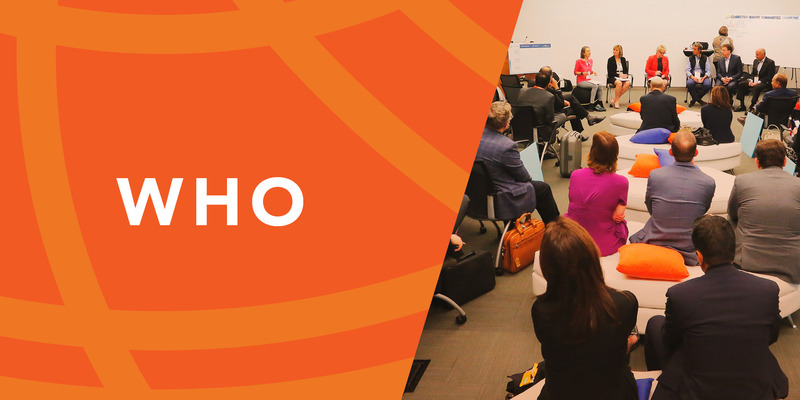 Attendees please download Whova event app, to access the information of all 75 speakers.